James Madison, author of the First Amendment, wrote what is surely the most powerful defense of freedom of the press in America. He did it in protest against the Sedition Act of 1798, enacted just seven years after ratification of the First Amendment. 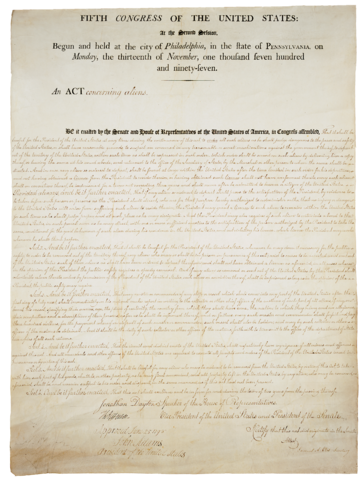 At a time when the United States and France were on the verge of war, Congress passed the Alien and Sedition Acts to deal with the perceived threat of internal insurrection and dissent. 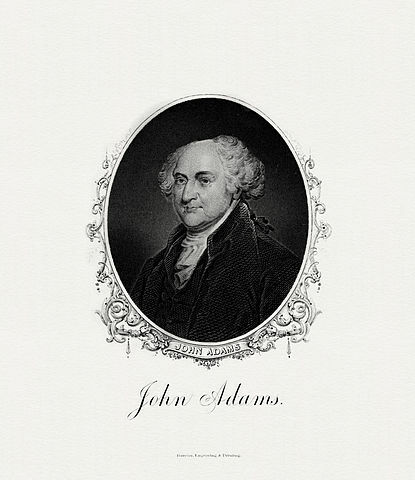 John Adams and his Federalist Party used the law to prosecute more than a dozen critics of his administration, most of them journalists, and five opposition (Democratic-Republican) newspapers closed. The Sedition Act made it illegal to “write, print, utter, or publish . . . any false, scandalous and malicious writing” against Congress or the President. In 1799, Henry Lee defended Alien and Sedition Acts after the Virginia House of Delegates voted in favor of resolutions condemning the laws. 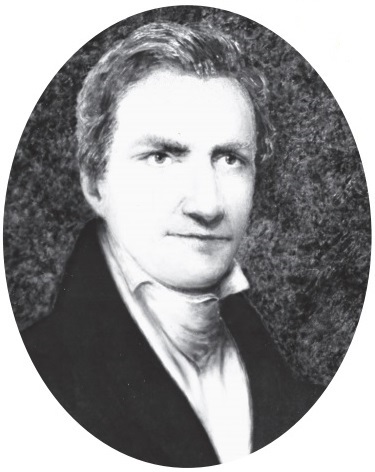 Lee wrote that the Necessary and Proper Clause of the Constitution empowered Congress to pass the Sedition Act. If the government had the power to punish resistance, then it did not have to wait until resistance occurred; it also had the power to punish speech before it could incite resistance. He argued that “the” freedom of speech protected by the First Amendment was nothing more than the freedom recognized by the common law of England—that is, the freedom from prior restraints on publication and not punishment for criticism of government once published. Madison’s powerful answer came a year later, in 1800, with his Report on the Virginia Resolutions. His arguments for freedom of speech and press ranged widely—including his charge that Congress had no power to legislate over the press and that freedom of the press was inextricably tied to the American commitment to self-governance in a democratic society. The portion of Madison’s Report that defends freedom of the press can be read in its entirety here. To make Madison’s defense more accessible, we summarize many of his arguments below and include relevant quotations. Click on links to scroll to relevant section. 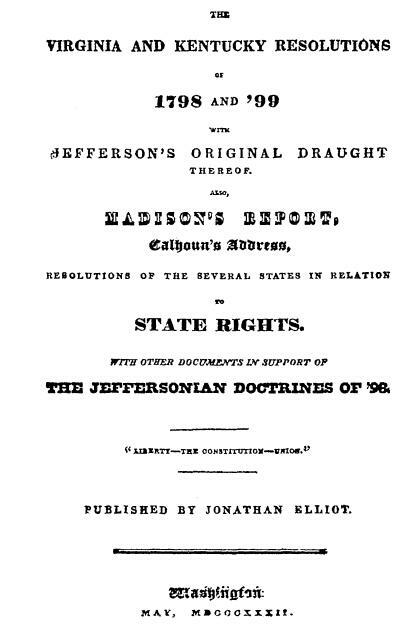 Perhaps Madison’s most important contribution was his argument that freedom of speech and press was part of the very fabric of a democratic form of government. In America, he argued, the people must enjoy the right to openly discuss and debate their opinions about the government and public officials. If free speech is denied, it is that much easier for other rights to be stripped away because no one will be able to speak out against it. Madison warned that laws prohibiting speech should cause “universal alarm” because the country would be veering away from democracy and embracing the very type of government that the colonies revolted against. “For omitting the enquiry, how far the malice of the intent is an inference of the law from the mere publication; it is manifestly impossible to punish the intent to bring those who administer the government into disrepute or contempt, without striking at the right of freely discussing public characters and measures: because those who engage in such discussions, must expect and intend to excite these unfavorable sentiments, so far as they may be thought to be deserved. Madison pointed out the critical role of the press leading up to and during the American Revolution. 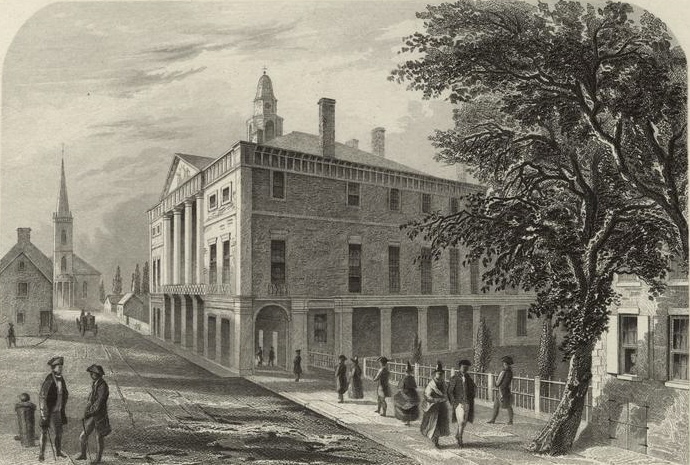 Although criticism of government and public officials could be criminally punished under seditious libel laws, those who protested against British policy in America—writers, , poets, cartoonists, newspaper publishers, and the wide swath of citizenry who participated in demonstrations—acted as if the law did not exist. It proved almost impossible for officials to obtain indictments or convictions for seditious libel from colonial juries. 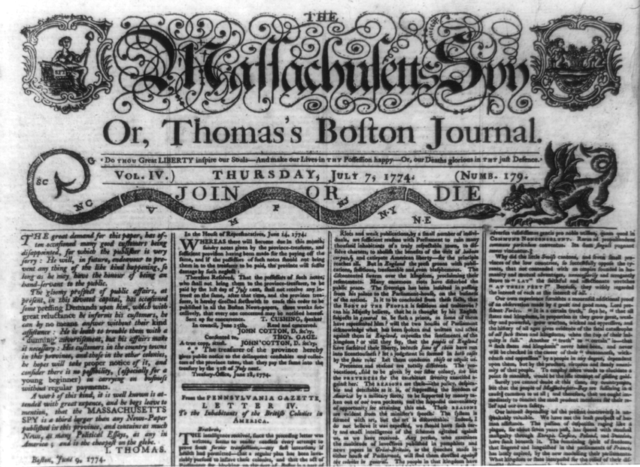 If the patriots had obeyed the seditious libel laws, it is likely the revolution never would have happened, and the colonists would likely still be living under the rule of a repressive English government. Ironically, the 1798 law finally elevated truth as a defense to a seditious libel prosecution, an advance that libertarians had wanted for centuries. But it soon became clear that a defense of truth would not protect dissenters from prosecution. Writers and speakers had been jailed for voicing opinions, which unlike factual statements are not capable of being proved true. And, as Madison recognized, it is often difficult to prove whether facts are true or not. For these reasons, Madison encouraged further defenses against claims than simply the accuracy of the alleged libel. 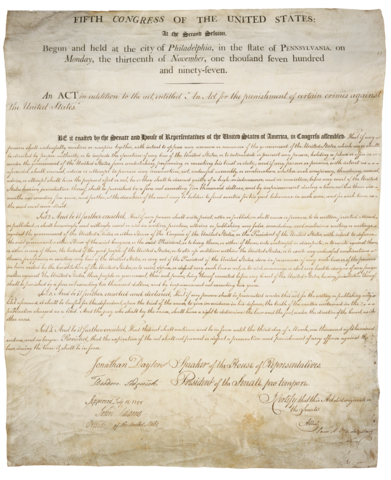 Supporters of the Sedition Act argued that Congress had power under the Necessary and Proper Clause of the Constitution (Article I, Section 8) to enact restrictions on the press. The Clause states that Congress had power to “make all Laws which shall be necessary and proper for carrying into Execution the foregoing Powers.” Because Congress had the power to stop insurrections, it must have the power to punish speech that tended to lead to that result. Madison disagreed and pointed out that the Constitution gave Congress no power over the press, and that the First Amendment was ratified as an express denial of any such power. 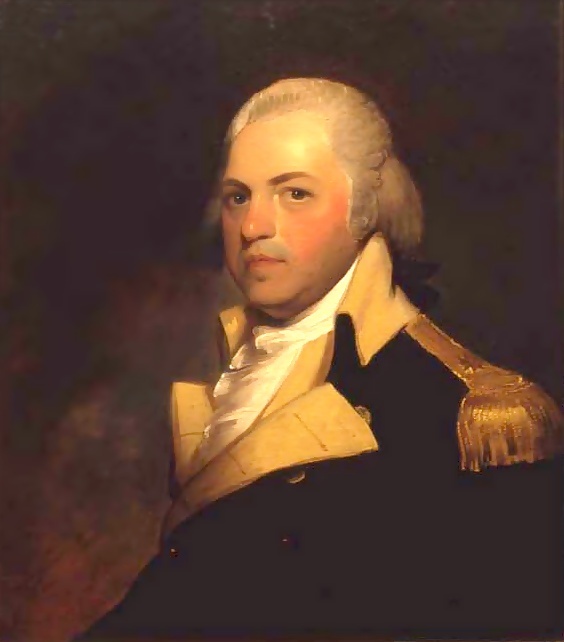 “The federal government,” Madison concluded, “is destitute of all such authority. “Hence too, all the ramparts for protecting the rights of the people, such as their magna charta, their bill of rights, &c. are not reared against the parliament, but against the royal prerogative. They are merely legislative precautions, against executive usurpations. Under such a government as this, an exemption of the press from previous restraint by licensers appointed by the king, is all the freedom that can be secured to it. In the United States, the case is altogether different. The people, not the government, possess the absolute sovereignty. The legislature, no less than the executive, is under limitations of power. Encroachments are regarded as possible from the one, as well as from the other. Hence in the United States, the great and essential rights of the people are secured against legislative, as well as against executive ambition.